Our domain expertise has enabled us to come up with a commendable gamut of Sealant and Adhesives. The range offered by us includes General Purpose Neutral Sealants, Weather Proof Silicone Sealants, General Purpose Neutral Sealants and General Purpose Silicone Sealants. All our products are extensively appreciated in the market for their balanced composition and longer shelf life. Further, we offer these products to the clients at economical rates. 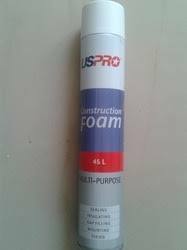 Us pro construction foam is a pu foam sealant used for variety of uses like filling gaps of pipe joints, electrical cable joints or window joints and host of other uses to waterproof any type of joint. Patrons can avail from us a wide range of General Purpose Neutral Sealants (IS 8000 Series: FDA approved). 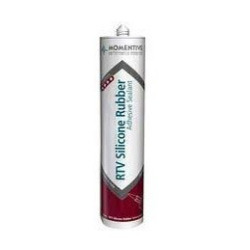 Easy to use, these single silicone adhesive sealants are used in curing the silicone rubber during their exposure to atmospheric moisture at room temperature. The products we offer make use of moisture vapor system for producing acetic acid vapors. On offer from us is a range of Weather Proof Silicone SealantsGE Winsil 20 which is having excellent adhesion to varied building surfaces such as aluminum, glass or glazed, painted wood, masonry, PVC, plastics, GRP, concrete and many other metal surfaces. Useful for curing silicone rubber to elastic rubber seal, the products we offer are fast curing, one component silicone adhesive sealant. Our years of knowledge and expertise of this field has supported our firm to offer General Purpose Neutral Sealants that is suitable for porous as well as non-porous surfaces. The offered sealant is used as an adhesive during sealing, glazing and waterproofing applications. This sealant is processed by our adept professionals by utilizing optimal quality silicone materials and modern machinery in line with international quality standards. 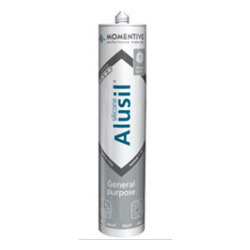 Moreover, we offer this neutral sealant to the clients in different packaging options at industry leading prices. Made available by us is a premium quality range of fast curing and acetic cure General Purpose Silicone Sealants (GE 2000). The products offered by us, when cured change the silicone rubber to form excellent strength rubber seal because of getting exposure to atmospheric moisture at room temperature. Looking for Sealant and Adhesives ?